Fight the cold playing your favorite tower defense game! Hope you are enjoying your holidays and playing tons of wonderful games. The cold isn't freezing our games but it's certainly getting the prices as low as the temperature. All our games are now on SALE for both mobile and Steam! 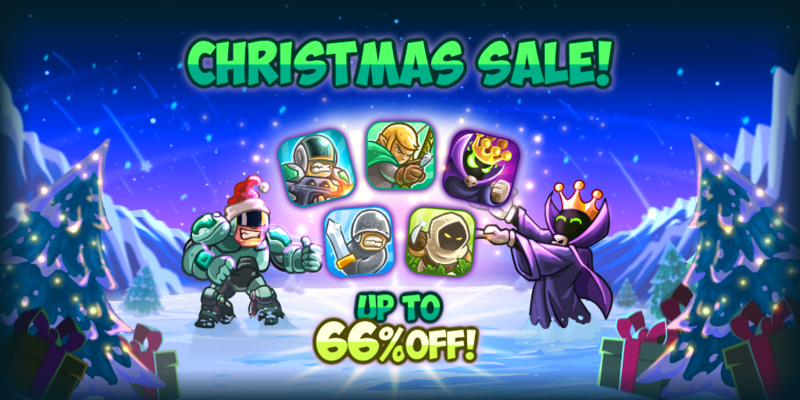 Take a look at the offers and grab the game or hero (or both) you were wishing for on iOS Android and Steam!